Product code: 116200 Category: Fully Composite. 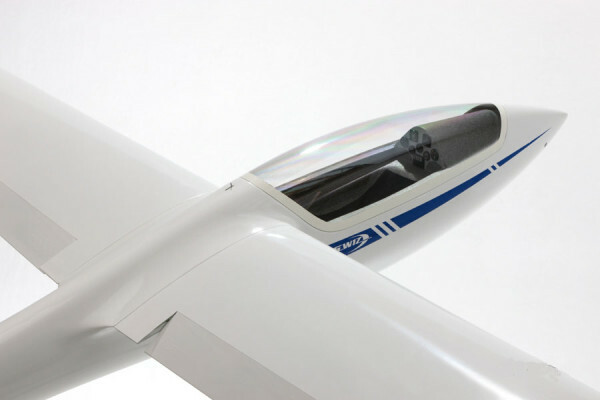 the new all glass sailplane class in a modular form. 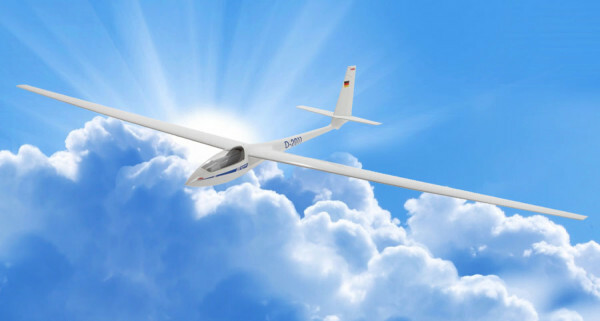 For the first time, we offer the de-manding model-flyer, by means of a unique modular construction, the possibility of a combination of five scale and one non-scale fuselage with a 4-flap All- moulded Rhön-System 4 flap common moulded wing. The proven RG-15 section has been chosen for the wings. This section has excellent slow flying ability, that is particularly useful advantageous during take-off and landing. 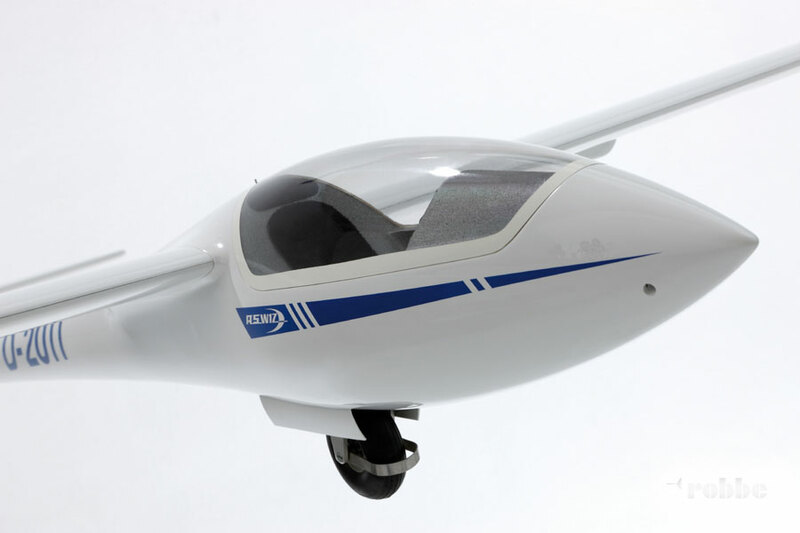 Thereby, the active model pilot, who wishes to upgrade to large sailplanes, will be offered an easy to master aircraft concept. Avialable models:DG-800C, ASG-29, ASH 26, Ventus, ASW 17 and Cloud Dancer. 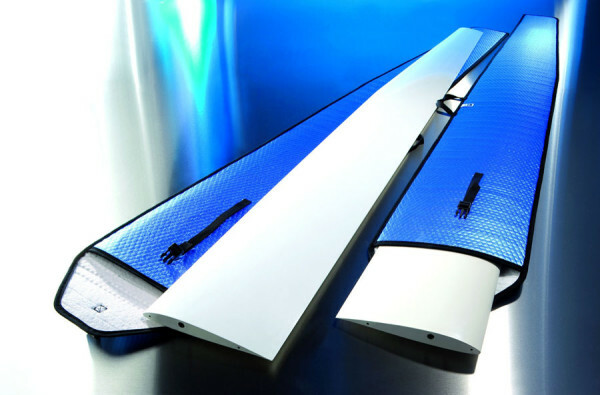 The ASW 17 is a high-performance GRP glider. Designed in 1971 as a cantilever shoulder-wing machine, it still ranks as a high-performance sailplane today, with a glide angle of 1 : 48 and a maximum speed of 250 km/hr. new semi-scale reproduction of the 20m version in an all moulded construction, and comes highly prefabricated. It can be flown from a winch, converted to electric, or aero-towed, It will also excel on a slope. The airfoil leads to a nice flat glide path with good acceleration for aerobatics. It has a great roll rate and excellent energy retention for huge loops. Add some click camber and it becomes very gentle for some nice thermal flying. Elevator, rudder, aileron, flaps, tow-release, landing gear, optional electric powered motor.